I recently blew away all my low power vm lab running XenServer 6.5 and installed Vmware ESXi 6.0. Why I am not exactly sure but I just got bored with XenServer. Not that it’s doesn’t work or anything, in fact in my environment it did probably mostly everything I wanted. However I usually do this once a year, ie just blow it all away and start again. 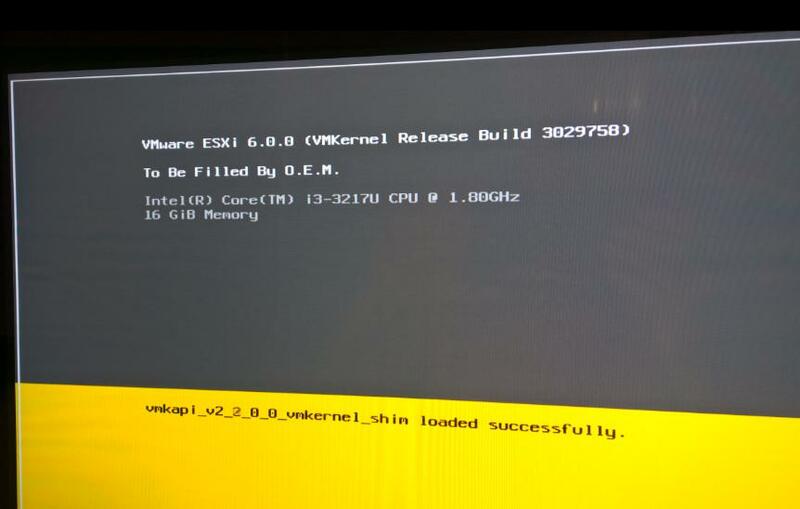 So I have been busy over the last week getting to know Vmware ESXi a bit better. So time to document a few things. 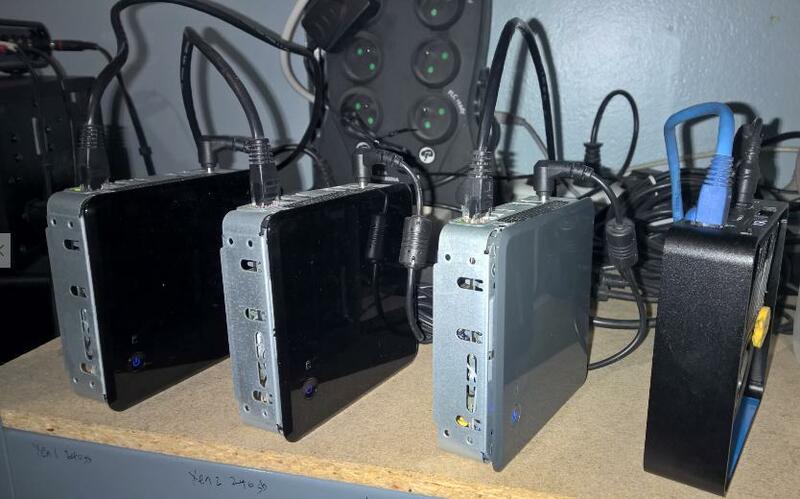 ESXi hosts is 3 x Intel NUC with i3 Procs and 2 x 8Gb DDR3 1600Mhz memory in each, 2 of these have Intel 256Gb SSD and one has a Intel 80Gb SSD. 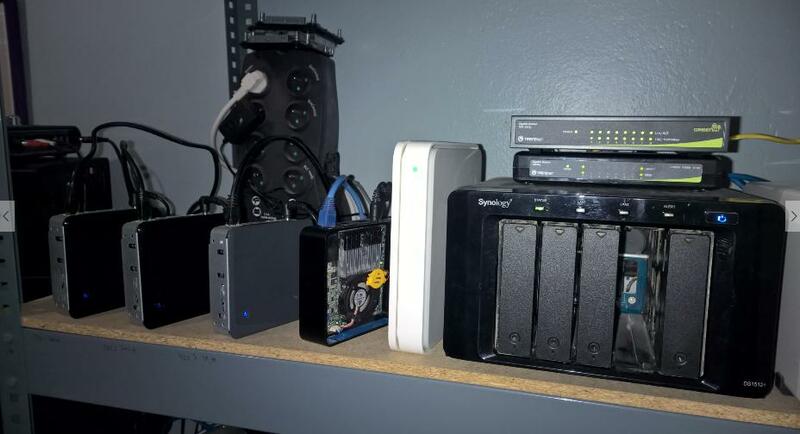 They can also connect to an NFS share on my Synology but I mostly use local storage as the SSD is much faster and most of my VM are small. Vcenter Host is one of these Intel Mini PC – NUC Celeron (DCCP847DYE) 2 HDMI + RJ45 with 2 x 8Gb DDR3 1333Mhz SO-DIMM for 16Gb with a 64Gb SSD drive running Windows Server 2012 R2. Intel NUC recognized by ESXi (also works with XenServer but not with server 2012, you have to do a hack on the Windows 8 drivers). My poor old Vcenter host. 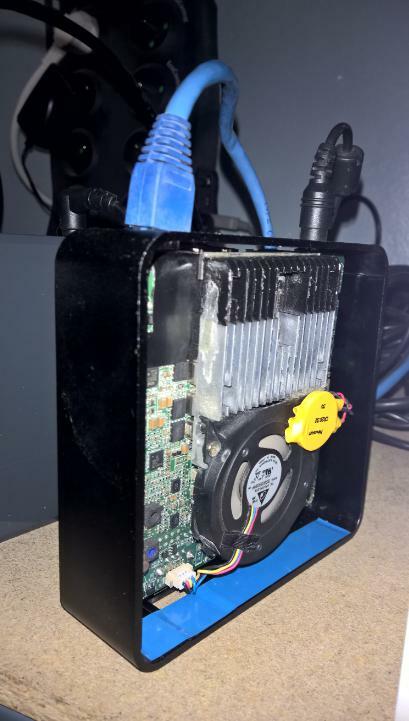 An older Celeron NUC with no case, and disabled fan and exposed heat-sink. It’s mostly cooler like that and I don’t really care what it looks like anyways. In part 2 I will go into a bit more detail about how all this works in real life (very well actually). The mini DC. I get about 10 minutes backup power from a desktop PC UPS.